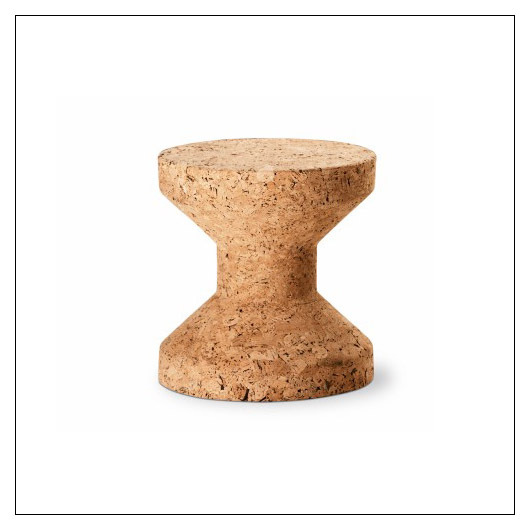 Cork Family Solid Cork Stools by Vitra (VITCORKSTL) at Pure Design / Seating / Stools ::: Furniture for the Home, Office, Home Office, and More at Pure Design Online! Whether side tables or stools, the versatile members in Jasper Morrison's Cork Family will get the job done. These little guys are comparatively lightweight, enormously tough, and pleasantly comfortable. Choose model A, B, or C ... or all three!